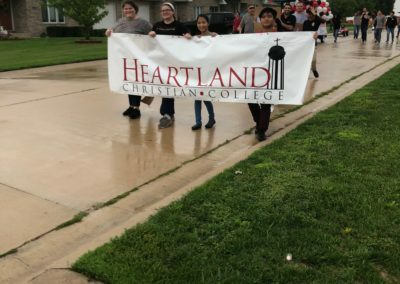 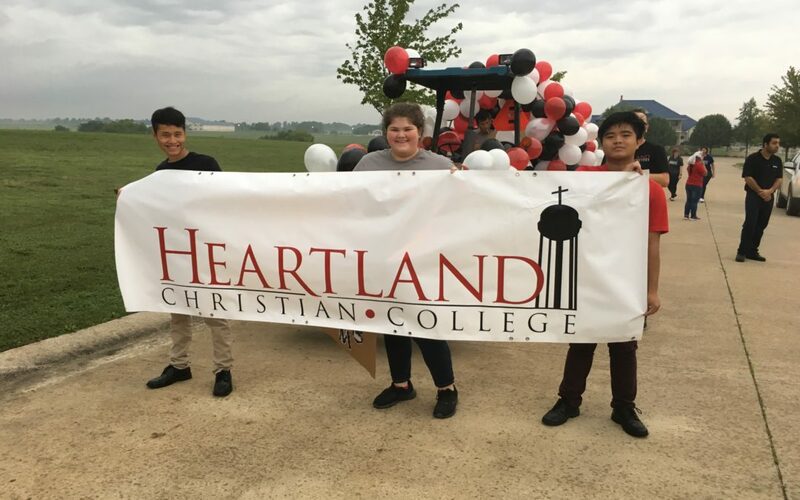 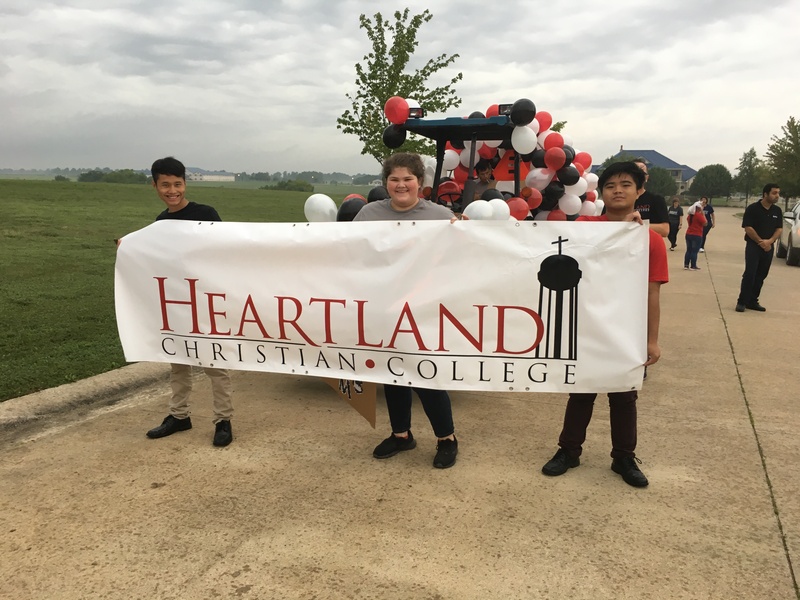 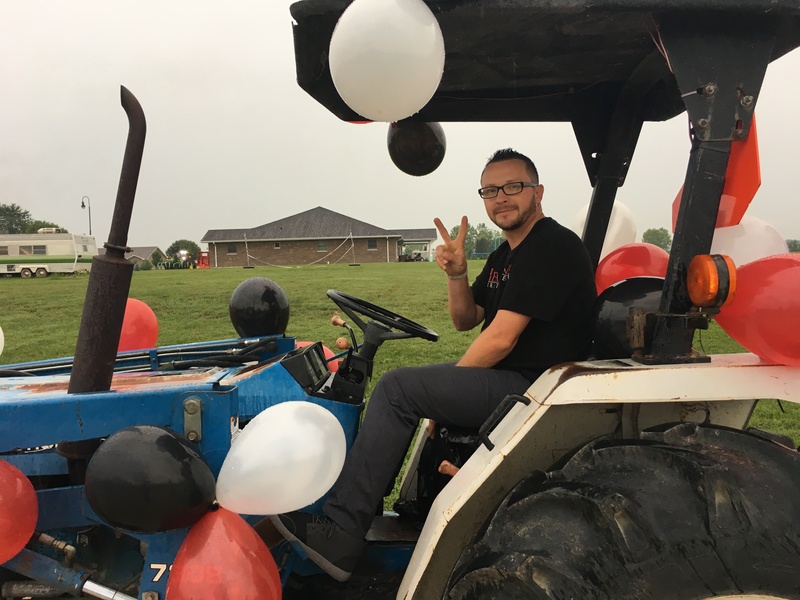 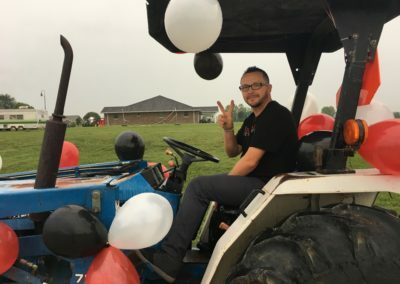 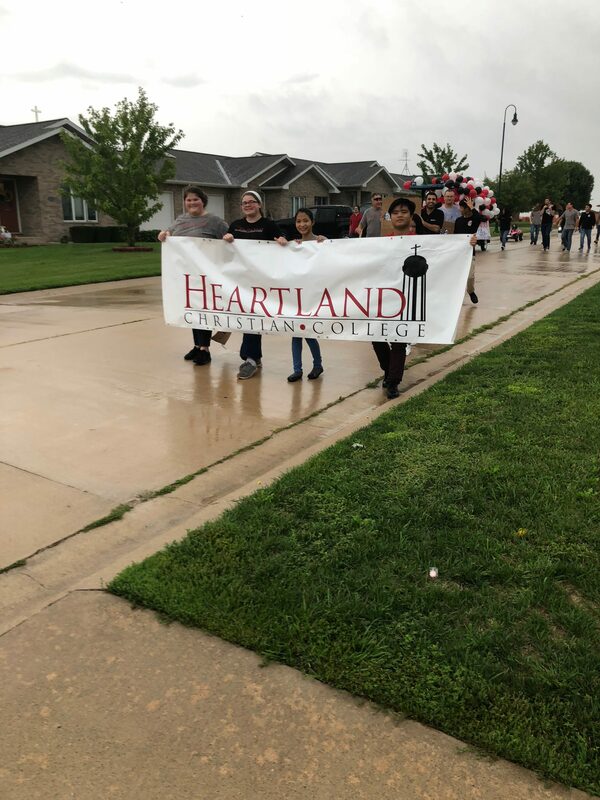 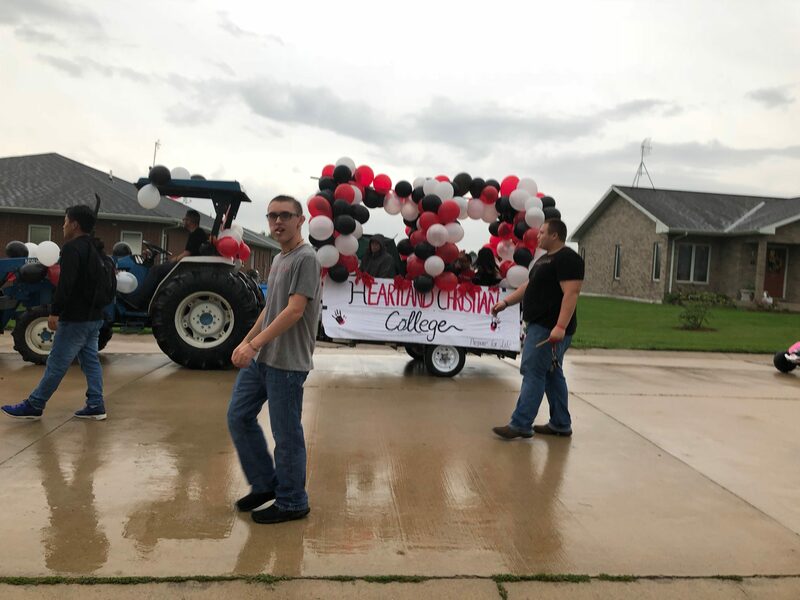 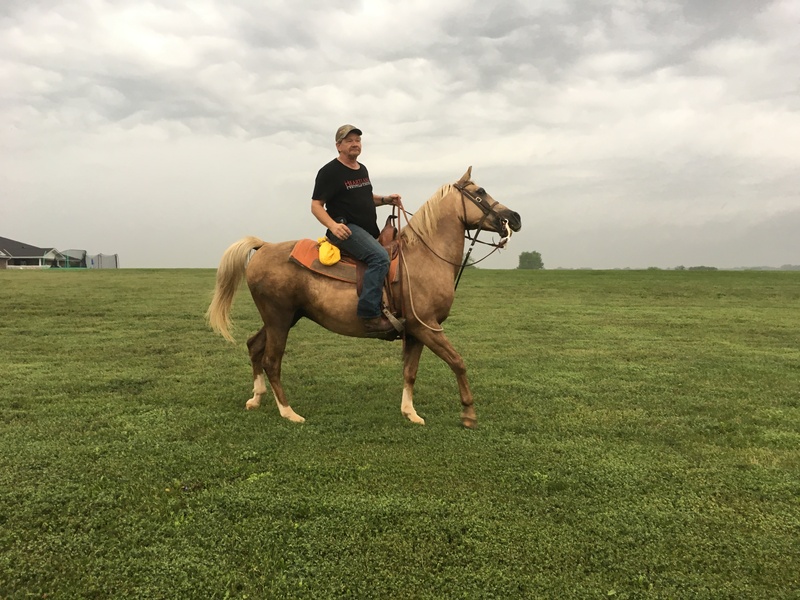 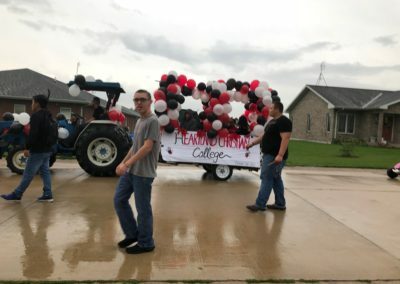 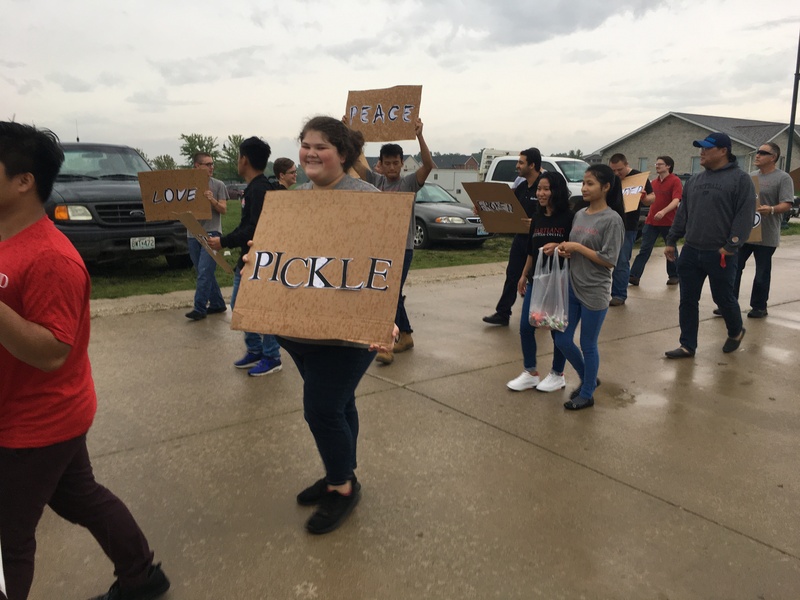 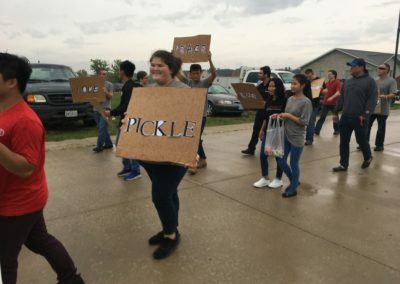 Each year our local elementary/high school, Heartland Christian Academy, organizes a parade where school students as well as local businesses can participate. 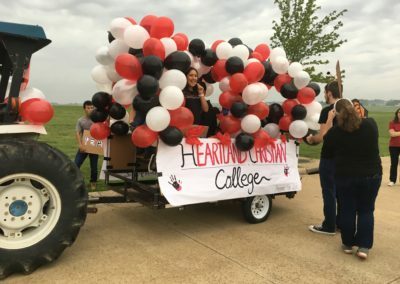 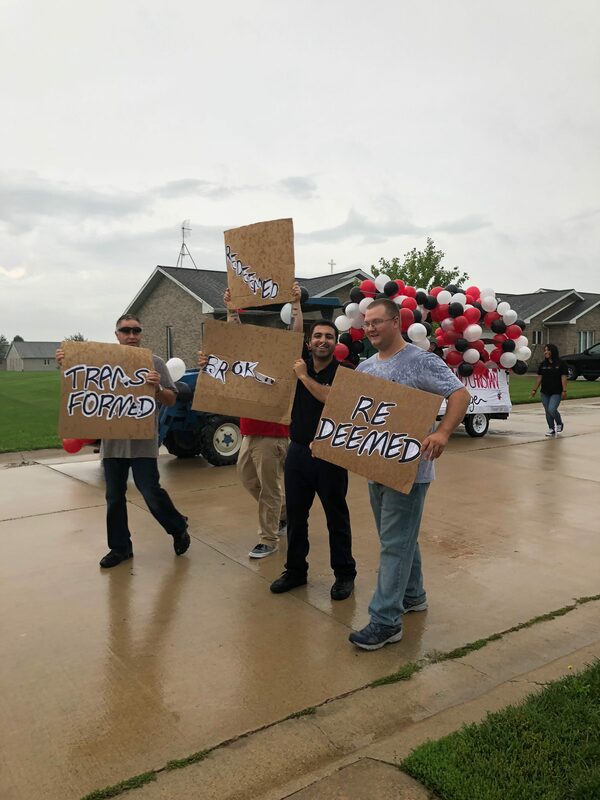 HCC students used their Orientation week theme of “Transformation” for their creative float. 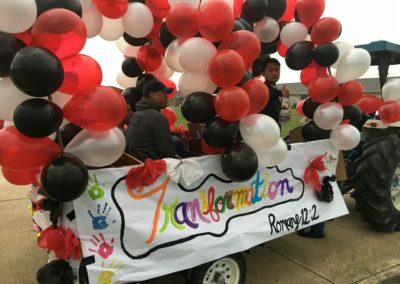 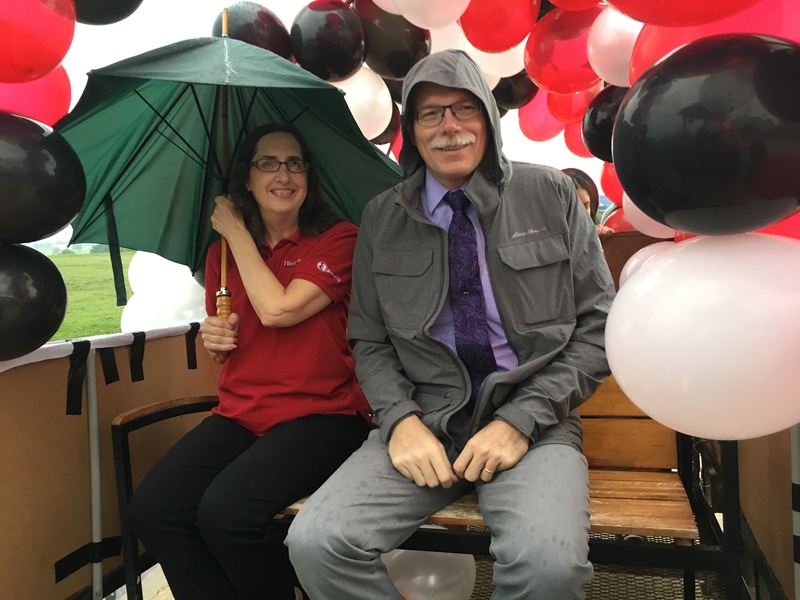 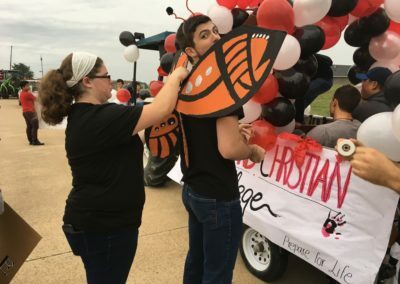 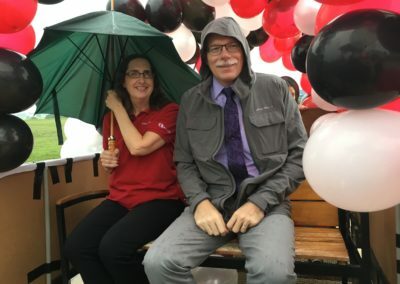 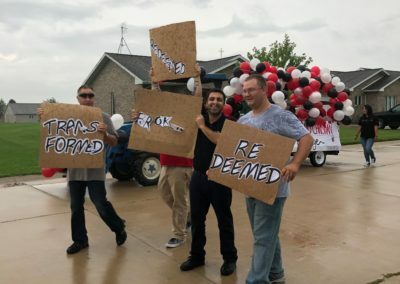 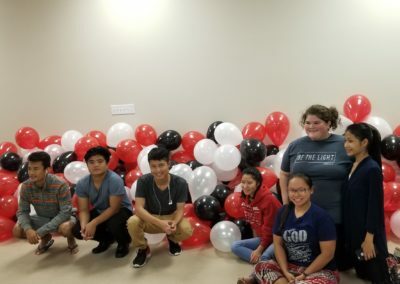 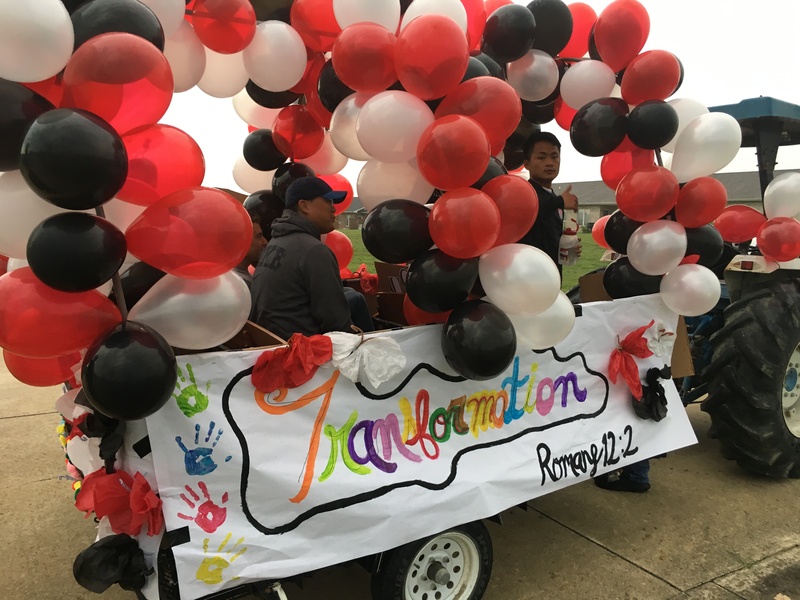 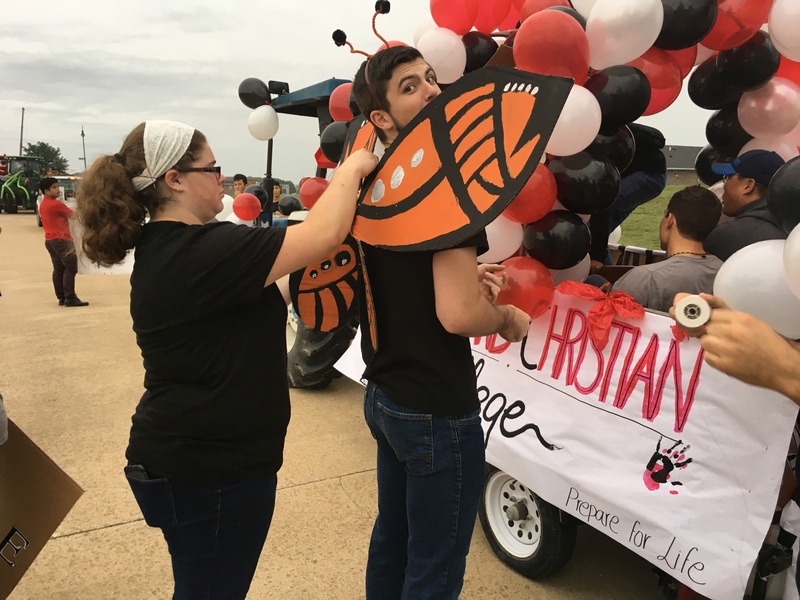 Caterpillars and butterflies, and balloons galore adorned their float (along with riders President and Mrs. Palmer), surrounded by students carrying cardboard testimonies about how God has transformed their lives.